Enjoy an indulging buffet treat with lavish spreads from Marriott Cafe this February 2019 with huge discounts on your dining budget. 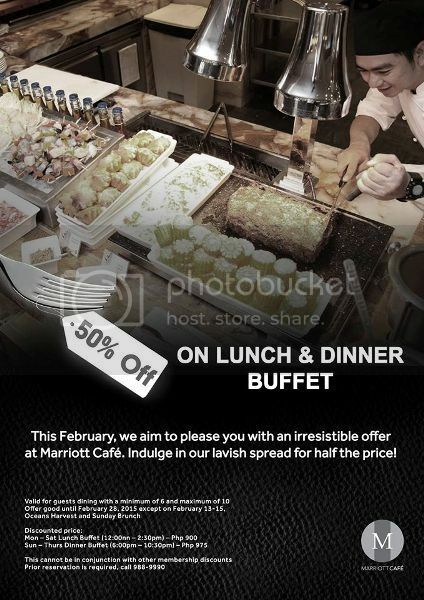 Get as much as 50% off for your Lunch and Dinner Buffet at Marriott Cafe. For any reservations for this Marriott Hotel Manila Buffet Promo 2019, you may contact 988-9999.